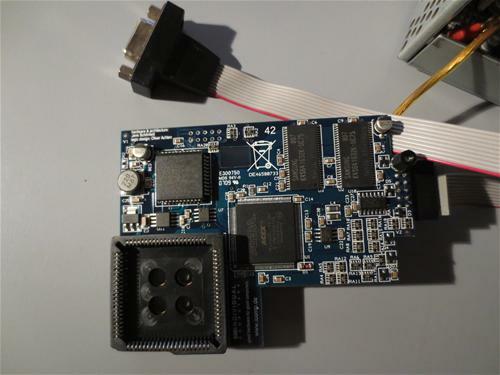 Indivision AGA is a flickerfixer that is very closely tied to the AGA chipset. This could only be achieved by putting the flickerfixer inside of the computer. The product is mounted over the video chip "Lisa". The VGA display is connected directly to the flickerfixer. 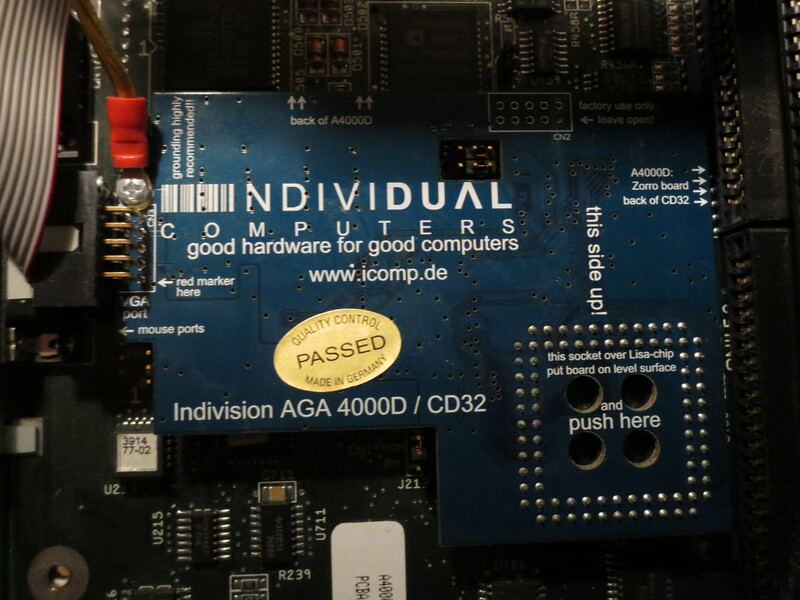 Further connections are not necessary. 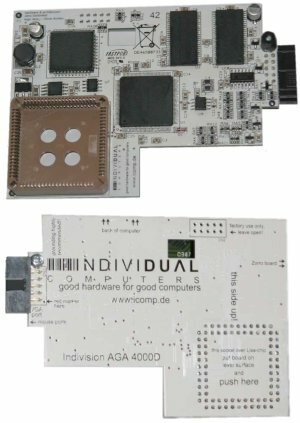 The Indivision AGA 4000D/CD32 can only be used with an Amiga 4000 computer or the CD32 console, it won't fit any other model. Page contributors: Steen Jessen, Vesalia.de.